West Ham United ace Manuel Lanzini is making excellent progress in his recovery from injury, according to ClaretandHugh. The key Hammers playmaker suffered a serious knee ligament injury in training with Argentina prior to the World Cup and was tipped for a long spell on the sidelines. But ClaretandHugh has been told that things are progressing nicely and he could be back in action for the Under-23s in early 2019. “Given the terrible injury there were even doubts as to whether he would play again – now we are discussing whether he will be back before the end of the season,” a source told ClaretandHugh, an ultra-reliable site for West Ham news. If this update is accurate then it’s terrific news for West Ham fans. Lanzini was in phenomenal form last season, as evidenced by his inclusion in Argentina’s World Cup squad, and was expected to miss much, if not all, of this campaign. That no longer appears to be the case, as the 25-year-old makes good progress in the recovery room. The target of playing for the U-23’s early next year is a big one, and it may not be achievable, but the fact that it is even a possibility for the Argentine at this stage is incredible in and of itself. 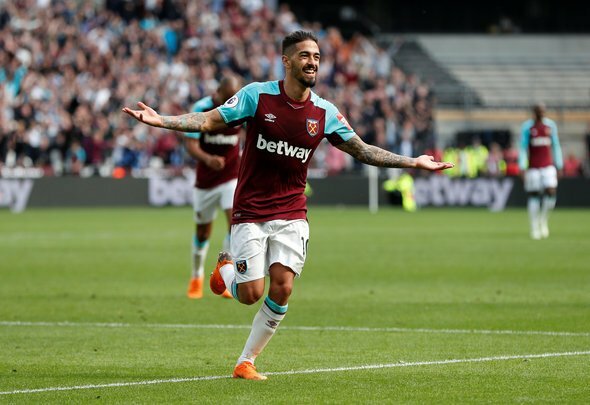 After their wretched start to the season West Ham could certainly use the help, and there’s no doubt that Lanzini will feel like a new signing when he does return to the line-up. The key for Manuel Pellegrini is not to rush him, as the midfielder is coming back from a very serious injury. However, it’s great to hear that his recovery is going well, and Hammers fans everywhere will be keen to see him back on the pitch as soon as possible.